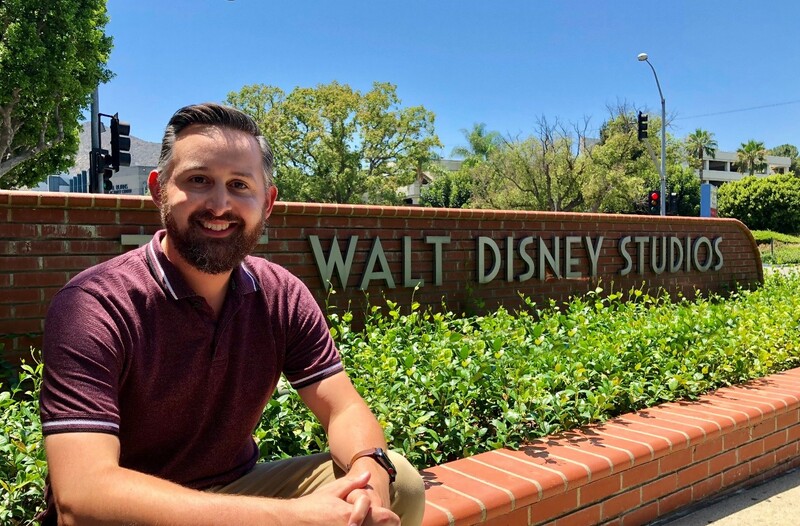 When Mihaylo College finance grad Justin Stirling ’08 took a summer internship at The Walt Disney Company in 2007, he embarked on what would become a career with the entertainment industry giant. Stirling talks about his current role as director of production finance at Disney ABC Television Group in Burbank and the opportunities in the business side of the entertainment industry, including how students and alumni can get involved in the field. What do the accounting and finance aspects of the entertainment industry encompass? Accounting and finance in the entertainment industry represent the crossroads between art and commerce. Our job is to support the creative process by making sure the resources exist for artists to create amazing stories that delight the world. What is a typical “day in the life” in your role as director of production finance for Disney ABC Television Group? A typical day starts with conversing with our various production teams around the world to check in on the status of their production, see if there is anything they’re struggling with and offer solutions. Within the constant coordination of the various projects I’m responsible for, I will perform ad hoc analysis around such metrics as costs, production timelines, headcount and tax-incentive tracking. I will also be party to various meetings pertaining to long-range planning for the studio. You have been involved in a number of film and television projects. What has been the most memorable aspect of your career thus far? One highlight thus far was living in the U.K. during the production of “Alice Through the Looking Glass.” Living and working abroad offered a unique perspective that I would not have been able to get in Los Angeles. Another was my childhood dream come true when I was credited on three Disney Animation projects, “Zootopia,” “Moana” and the upcoming “Wreck-It Ralph 2.” Disney animation was such a huge part of my childhood, and it was great to be a part of creating something there. What was your journey from CSUF student to production finance professional? During my senior year, I landed a full-time position as an accounting clerk on a movie, so this forced me to pick from night classes so I could still drive to Hollywood for work each day. This ended up being an unexpected benefit, since most of my professors were working professionals with years of experience in their fields. I received very valuable and timely information that amplified my interest in some of my final finance courses. This experience has inspired me to reach out to CSUF and offer to be one of those working professionals who give the university a fresh take. While a student at CSUF, I had two internships, but it was the second one that would launch my career. I was on the Disney Careers website and saw a posting for a finance internship. I assumed it was a job at Disneyland, but once I received the call for setting up an interview, I learned it was at the Burbank studios. Upon landing this internship, I made some great contacts, now long-time friends, who opened the door to production accounting, a world I didn’t even know existed. These accounting and finance professionals would be on set with the producers, directors and actors, facilitating various tasks, such as cost tracking, accounts payable and payroll. After eight years and 11 movies, it was time to fulfill a life-long dream of working at Disney Animation. As a kid I was inspired by “Robin Hood,” “The Lion King” and “Aladdin.” It was projects like these that fueled my interest in animation. Over the next three years, I used my financial prowess and production experience as manager of production finance to work with some of the best artists on the planet, explore new technologies, and be a part of projects my daughter has already fallen in love with. Disney Animation was where I learned the key concepts of long-range strategy and looking at challenges from a macro level. The current chapter has kept me with Disney in a familiar yet different environment. Many have said the golden age of TV is upon us once more. When the chance came up to explore this frontier and build my knowledge of the ever-changing landscape of television distribution, I jumped at the opportunity to be part of the team that is going to bring Disney to the forefront of the streaming wars unfolding right now. Although I have spent my entire career with one company, I’ve been fortunate to learn in many environments, build different skills and work with really great people along the way. You are passionate about encouraging students and grads to pursue accounting and finance careers with the entertainment industry in mind. What are some of the opportunities for young professionals and how can they position themselves to succeed? There is a growing need for critical thinkers in the entertainment industry. Technology is making the processing of information more efficient but data interpretation and story-telling are still in high demand. Studios will be looking to the next generation to interpret large swaths of data and tell a story with it. Also, as the amount of content increases, we’ll need more people who appreciate the details, can stay organized and understand what it takes to get things done in a fast-paced environment. There is a large generational gap in the industry and the amount of content being created is expected to grow year-over-year for the foreseeable future. Mihaylo’s Center for Entertainment and Hospitality Management (formerly the Entertainment & Tourism Management Center) prepares students for career opportunities by supporting the college’s related academic program, offering networking events and supporting Behind the Scenes, a student club offering career-development support and social activities. For more information, visit the center online or at SGMH 5284.